(The Guardian) Britain’s first ‘poo bus’ will take to the road on Thursday, powered entirely by human and food waste. This week, the company also became the first in the UK to inject gas generated from human and food waste into the national gas grid network. 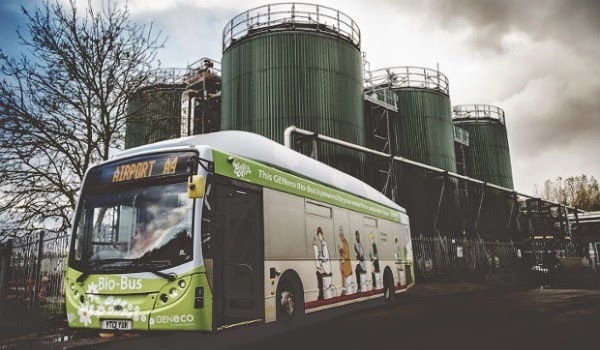 Mohammed Saddiq, general manager of GENeco, said: “Through treating sewage and food that’s unfit for human consumption we’re able to produce enough biomethane to provide a significant supply of gas to the national gas network that’s capable of powering almost 8,500 homes as well as fuelling the Bio-Bus. Are you on tsu yet? Its a new social media platform that pays you for creating and sharing content. Thousands of people have already joined. Its just like Facebook, it takes seconds to join, and it's even easier to use. And best of all you can reach 100% of your friends and audience—there is absolutely NO censorship. You can only join by invite—and this is an invitation from me to you. Click here to join and be sure to follow ThriveLiving too.